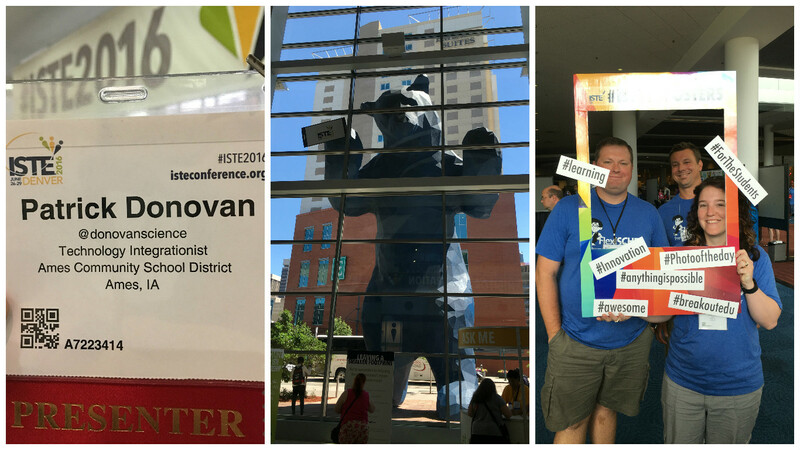 ISTE 2016 was held in Denver last week and this was my third time attending ISTE, first time presenting there. As usual there was a ton of sessions and my favorites this year were the poster sessions as you get to talk more with the people sharing their information than you do during a regular presentation. I also found the best way to take notes during a conference by using my new iPad Pro 9.7″ with the Apple Pencil (more on that in a future post). Our classrooms need to be updated to better reflect the learning want to happen in the 21st century – I went to a few sessions on updating our learning spaces to better meet our current needs. Too many classrooms still reflect the learning that took place when we were preparing our students to work in factories. With so many schools being 1:1 in the state of Iowa (1 laptop per student) we should not be using the same setups as we had in the past. While it can be expensive to buy brand new furniture, there are ways you can modify the space you have now in some simpler ways. You can add more collaborative spaces by adding whiteboard space to your walls, either by using Idea Paint or by getting shower backing material which works well as a whiteboard. You can even use plexiglass as a clear white board space at a much cheaper rate than a typical whiteboard. There are now smart light bulbs that can allow you to quickly change the color of the lighting in your classroom in order to create a more welcoming environment, and the bulbs last for a very long time. Video is a powerful tool to use for teacher reflection and sharing – There were various sessions and posters on using video as a reflective tool. This is something we have started to do in my own district but it something that many districts can do very easily. If you have a little money around, buying a Swivl and an iPad mini can get you started very quickly. 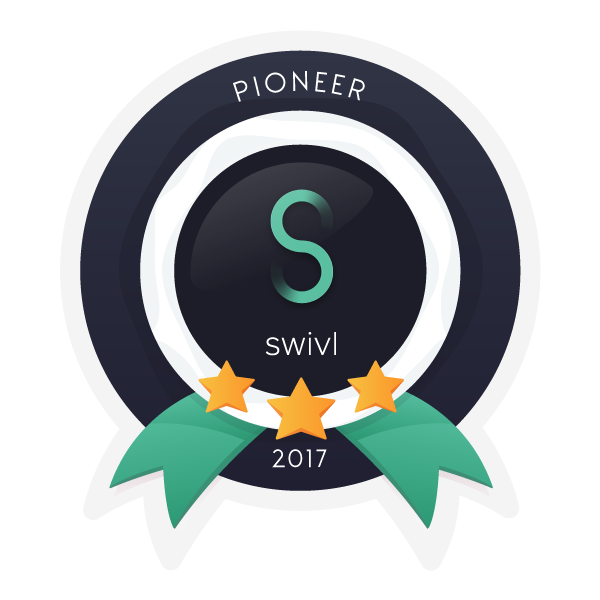 I am a huge fan of the Swivl and am currently a Swivl Video Pioneer. We have used the Swivl to record classroom lessons and are looking at ways to share these out with the rest of our staff. I have even heard of one district that was allowing their teachers who were on review to tape a lesson of their choice to share with their administrator. They would then have a discussion over this. Tools like the Swivl make it easier to record what is actually happening in the classroom as the tools blend into the background a lot more easily than another person would. I know that I have always learned a lot by watching video of myself delivering professional development or presenting at a conference. Not every use of technology is improving the learning – While there were some great examples of technology being used to improve the learning taking place in classrooms, there are still too many examples of technology being used for technology sake. I am very much against the idea of using technology to only replicate old methods of teaching that have not shown to be productive. Using the camera on your device to quickly grade a scantron is not a good way to use technology, it only promotes ineffective pedagogy. Technology that allows students to create, collaborate, communicate, and use critical thinking is what we should be focusing on. Technology that only perpetuates the teacher centric classroom is technology that we should not be promoting. There is so much more that we can do with technology that just replicating bad techniques that we have always used, is what many would call “professional malpractice”. I loved listening to the students explain what they created or how they were able to collaborate with others from other schools and countries, which is why I always go to those poster sessions that bring students. Being able to hear from students how the technology helped in their learning is going to help me out more so than someone telling me about how the tech improved their efficiency. Seeing how students can use real-time data from NASA satellites and how they are sharing their science reports with a larger audience is what I would rather spend my time doing at a conference. If all you are doing is showing me a smaller document camera that does nothing really to improve the learning, then that is a waste of a conference fee. 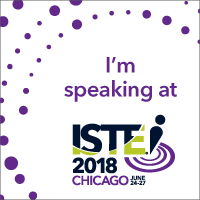 Bonus Takeaway – This was my first time presenting at ISTE but in reality, it wasn’t much different than presenting at any other educational conference. This was something on my goal list but since I was presenting to a crowd similar to what I have in the past, there wasn’t any big takeaway to help me improve. 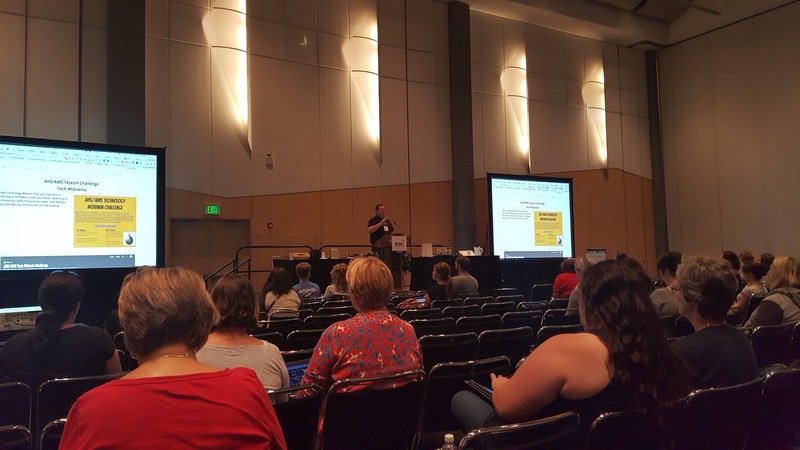 I will always present at conferences if given the chance because I like to share out with others and I find this is also a great way to get connected. I am always reminded that what may not seem magical or awesome to me, may seem that way to others so it is always good to share. As usual, it is the conversations at conferences like this that are the biggest reason I want to go. Being able to talk with people who you follow online or who you admire, gives me more insight into what I can be doing better than listening to a pitch from a company. Creating your own PLN and then having a chance to meet them in person is a great opportunity. I also got to meet a lot of others that I hope to be able to work with and converse with as we continue to grow. 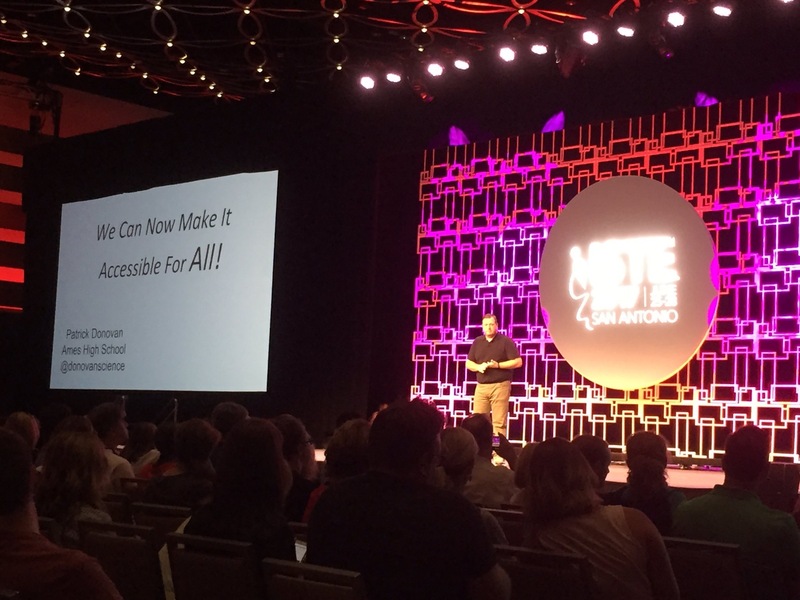 The keynotes do not interest me as much as having conversations with others and finding new people to help keep me growing and moving forward.